Have you noticed visible signs of mold in these areas of your home or business? If you know that you have mold, you need to have it removed right away. It can cause health issues and reduce the value of your property. 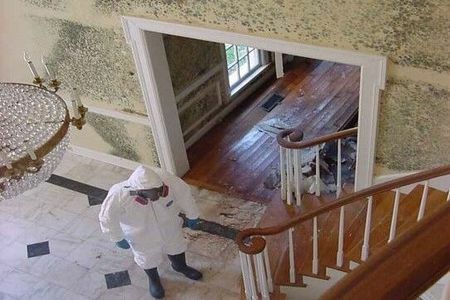 ✔ Call or email AdvantaClean of the Lower Susquehanna for a free estimate on mold removal. We offer Price Matching on Mold Removal - Please ask for more details. Did you know that mold can start to grow in as little as 72 hours? Mold can grow in any place that is humid or damp, or in an area where you've recently had water damage. Don’t let mold problems cause health issues and reduce the value of your property. If you can see mold in your bathroom, basement, or crawlspace, call AdvantaClean of the Lower Susquehanna, and we'll come and give you a free estimate for a complete removal of the offending mold. Call us at (717) 417-0268 or fill out our form to request for a free estimate on mold removal. * Management reserves the right to change or discontinue this offer at any time. This offer does not include testing for the presence of mold. Testing for mold is an additional fee. * Conditions apply. Please ask for all of the details.